WordPress is pretty good for SEO. See: What is SEO. But there is always room for improvement. If you have taken my four lessons on blogging then you know the real trick to SEO. 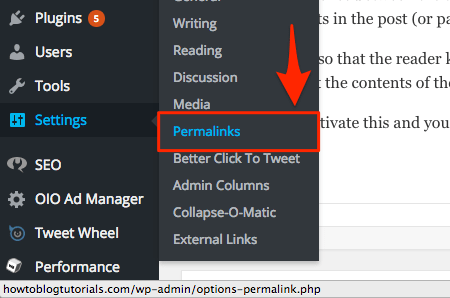 One of the easiest ways to make your WordPress blog more approachable is to configure the Permalinks option in your WordPress settings. You see, the difference between the two examples is that the first option doesn’t tell the reader anything about the link or the contents in the post (or page). This is important so that the reader knows what page they’re in and also for the search engines to gather some basic information about the contents of the page. It’s very easy to activate this and you should do it as soon as your blog has been installed. The Permalinks screen has many options and these can be confusing. Let me explain them briefly and then I suggest you follow my advice. There are six options available. The ugly default option, two options with the date of the post referenced in the URL, one with the numeric ID of the post. There is also one with just the post (or page) name and a totally custom one. For the time being, I suggest you configure yours to look like the one in the screenshot below. Use the Post name option and then click on the save changes button. I advise you to leave the optional settings alone for now. Stick to the post name option. This is the best one for most cases. Please note, if you have a problem saving your permalink settings, then chances are that your host has a problem with your server. 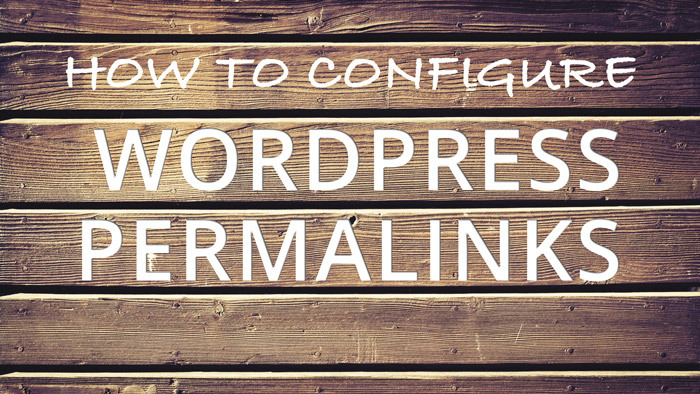 The most common problem with permalinks is related to a misconfiguration on the server and it is not very easy for a beginner blogger to fix. I suggest you contact your host to help you, or better yet, move your site to Siteground if you aren’t already using them.